Our staff consist of licensed private detectives, attorneys, and paralegals with the experience and expertise to assist in getting relevant data into the Courtroom. Our staff provides investigations in all 360 cities and towns throughout Massachusetts and have provided testimony in all 115 trial Courts. Please click for client login and updates to your case. When you prepare a case, you need to accumulate substantial evidence and evaluate potential problems. This can be a lot for one attorney or even a law firm to handle; however, we can help. Courtside Legal Investigators, Inc. provides investigation and litigation support services exclusively to attorneys, law firms, and their clients. 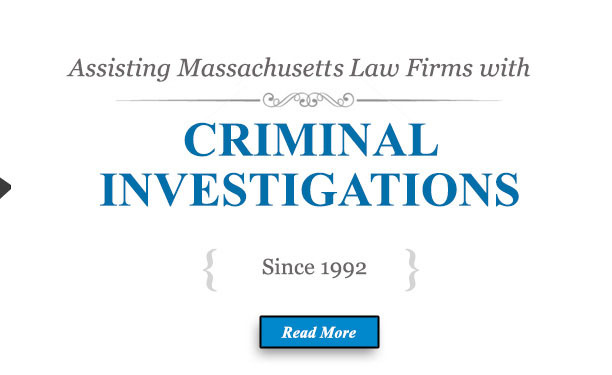 We are licensed Massachusetts private investigators who have been serving attorneys exclusively since 1992. We have years of experience and resources and are dedicated to helping our clients achieve the results that they need. When you choose to work with us, you can be sure that we will work efficiently and skillfully to help you obtain the information necessary for you to be successful. 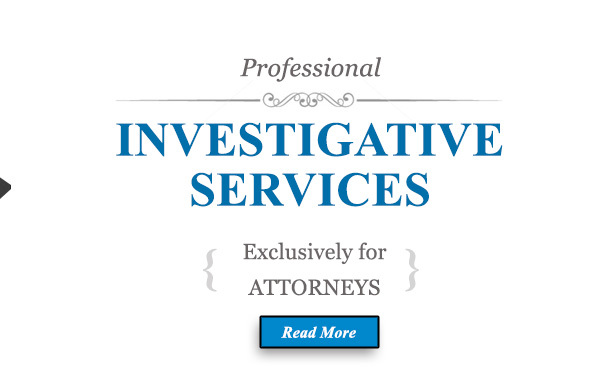 Our investigative services meet a range of needs for legal professionals. We can provide you with an asset investigation in order to ascertain the existence or value of any assets owned by a subject in any number of legal matters, including, but not limited to personal injury matters, family law matters, and bankruptcy. If you are handling a sensitive legal matter that requires reliable witnesses, then we can provide you with a background investigation to uncover any potential problems with the case at hand. Our office commonly handles criminal investigations for criminal defense attorneys as well as other cases that require thorough and ethical research. We can work to gather additional evidence and information that will help your case and can work to discredit the evidence and witnesses presented by opposing counsel. We conduct complete field investigations services, including court records research and document retrieval, surveillance, scene investigation and photography, and canvassing areas to locate previously unknown witnesses. If you are looking for additional testimony, then we can work to locate witnesses who were previously unknown, and we conduct witness interviews. We can also provide you with post-trial investigations in order to assist with the validity of a verdict, appeal issues and remanded cases. Finding evidence and information for you! Since 1992, we have been exclusively serving attorneys and lawyers. This focus is an advantage to you as we are experienced in achieving the results and obtaining the information that our clients need. We are widely recognized as leaders in the field of legal investigation, and you can be sure that we will put our years of experience to work for you. We have been involved in numerous multi-million-dollar settlements and have assisted with and / or handled more than 10,000 cases. Let us work with you to pursue the results that you need for your future. 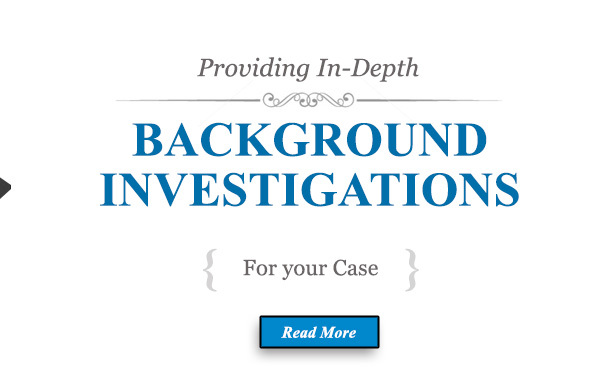 Our staff includes licensed private investigators, some of which are also experienced attorneys. With their expertise, you can be sure that our legal team will handle each matter professionally, ethically and effectively with the appropriate legal knowledge. Moreover, we can compile evidence we procure into a court-ready format for you. We understand the difficulties associated with trial timelines, and you can be sure that we will work skillfully and efficiently to help recover the evidence you need to make your client's case. Contact our office today to begin the process of pursuing the information that you need for the case that you are representing. OUR INVESTIGATIVE MANDATE: KEEP IT SIMPLE. OUR INTERACTION MANDATE: MAKE IT MEANINGFUL.